How do you catch a serial killer without becoming one of his victims? For FBI Agents Kim Otto and Carlos Gaspar, the answer is: brains, brawn, and private jets. 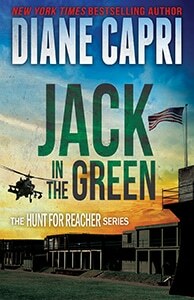 In, Ten Two Jack, Otto and Gaspar are on a new mission to find the elusive Jack Reacher. This is risky business that requires a lot of discrete travel. My characters, celebrities and high ranking government officials travel in style on private jets – but did you know that you can too? If you’re willing to fork out the cash, that is. Leasing private jets on an hourly basis is becoming a common practice across the globe. The majority of people who fly in private jets are business professionals in their forties, although people of all ages use this service. In fact, up to fifteen percent of private fliers are children. New private charter programs similar to Uber are opening up the private charter experience to a broader audience by providing more affordable flights. 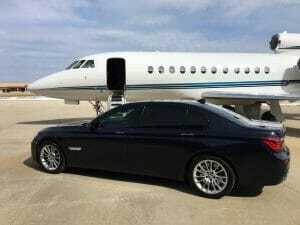 However, private jet travel is still far from cheap. On average, a flight can range from $3,000 to $7,000 per hour. Added luxuries such as having a private chef, doctor or tour guide on board come at additional cost. Whether you’re conducting business or simply going on a vacation, flying privately can help you avoid many of the hassles of commercial flights. You can now say goodbye to layovers, missed connections, and restrictions regarding pets or liquids. Each charter company has their own security procedures, many of which are very relaxed. Flying private is usually a straightforward process that involves little more than arriving at the designated hangar a few minutes prior to boarding to scan your passport. Flights can be booked online easily, sometimes within hours or minutes of flying. In some cases private jets can even change direction mid-flight. Private airlines tend to use smaller airports which are often located closer to destination points than larger commercial airports located outside of bigger cities. 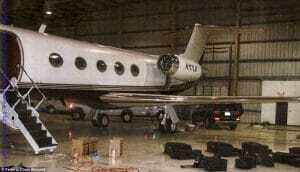 Not surprisingly, this was not the first criminal operation to take advantage of private jets. In 2016, a group attempted to smuggle 6.5 million dollars worth of cocaine into the US on a private jet. The drugs had been stashed in the floorboards, seats and panels. How do we know? You guessed it — they failed. What say you? Would you fly in a private jet? If you do – be careful who you are flying with. You never know who, or what, may be on board. 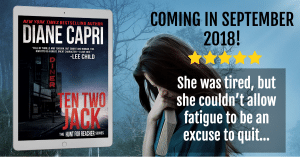 To keep up with my books that follow the Hunt for Jack Reacher and the many dangers that accompany the search, CLICK HERE.